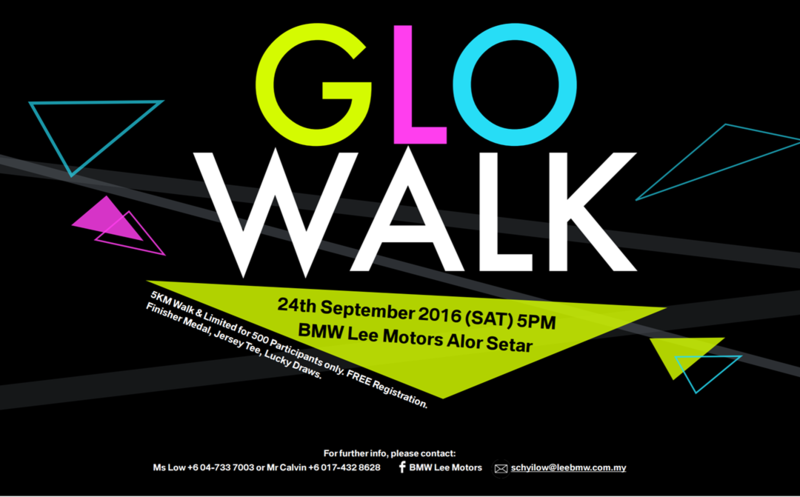 BMW GLO Walk 2016 is an event organized by Lee Motors in conjunction with the BMW Lee Motors Auto Care new showroom launching in September, encouraging a healthy lifestyle in the communities of Alor Setar, Kedah. We believe that everyone has power to inspire people, make real change and impact in the society. 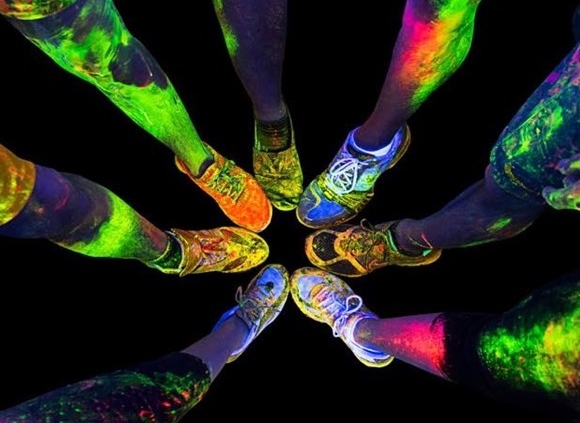 Every year, lots of businesses, governments and organisations have stepped forward to lead and commit in sporting events, so we are inviting you to join us in the movement with this event. 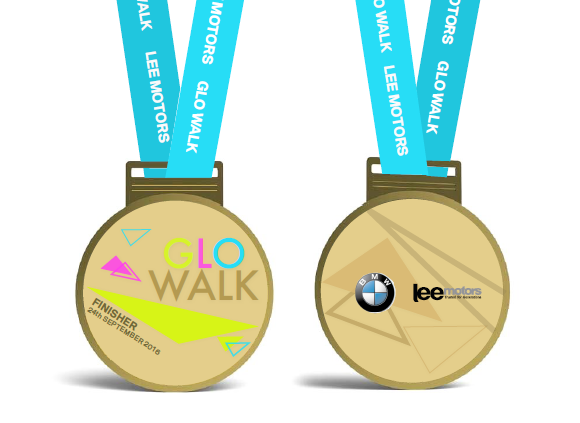 Engage and inspire your employees, customers, suppliers, clients, industry and communities during BMW GLO Walk 2016. 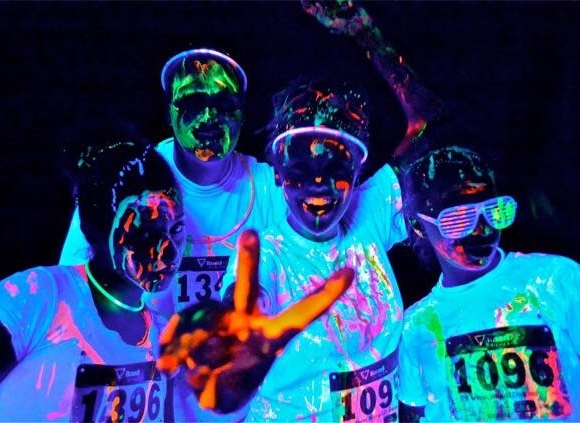 Address: 86C, Lorong Perak 18, Kawasan Perusahaan Mergong, 05150 Alor Setar, Kedah. 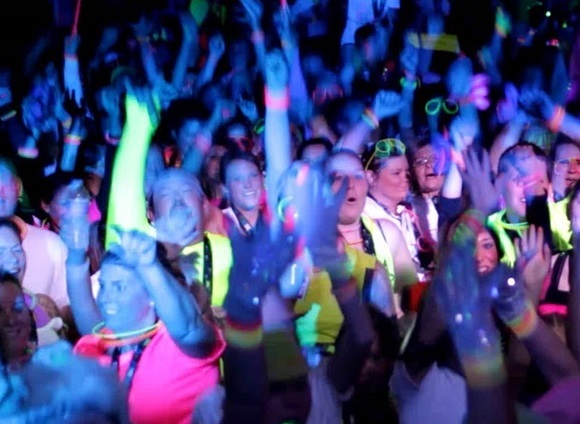 Step 4: Be Prepared to Glo Walk! *Limited to 500 Participants Only.